With Cal Crutchlow recruited by MCN to guest edit our bumper British Grand Prix preview supplement, we got the double race winner to rate his rivals – with typical Crutchlow bluntness and honesty! "He’s leading the championship, he’s making a lot less mistakes than ever before – and I think now that he’s taken the lead, he’s just going to go faster and faster. He’s going to have to start taking some big risks in the next few races though, if he wants to extend it. He’ll push at Silverstone, he’ll cruise at Misano, and he’ll push hard at Aragon." "At the start of the year, he was a rocket, but then they lost their way, and I don’t think that the bike they have now is as good as the satellite team’s. The satellite riders are fast guys but in a lot of sessions they’re faster than the factory riders, and there’s no way that they’re faster than Maverick and Vale." "The way he took his chance in Assen to win shows that he hasn’t lost his edge and his fighting spirit. Sure he’s had a few not great races too, but if you look at where he was in testing and where he is in a lot of sessions, he still manages to impress. He’s riding as well as I’ve ever seen, but it’s just that everyone else is fast too!" "He’s riding probably better than he has for most of his career, but he has a big advantage with the speed of his bike. I’d love to see him at another manufacturer, something more difficult to ride like a Honda. I love the way he rides and they way he goes about his business, but he’s a special character too. He’s a good friend of mine too though." 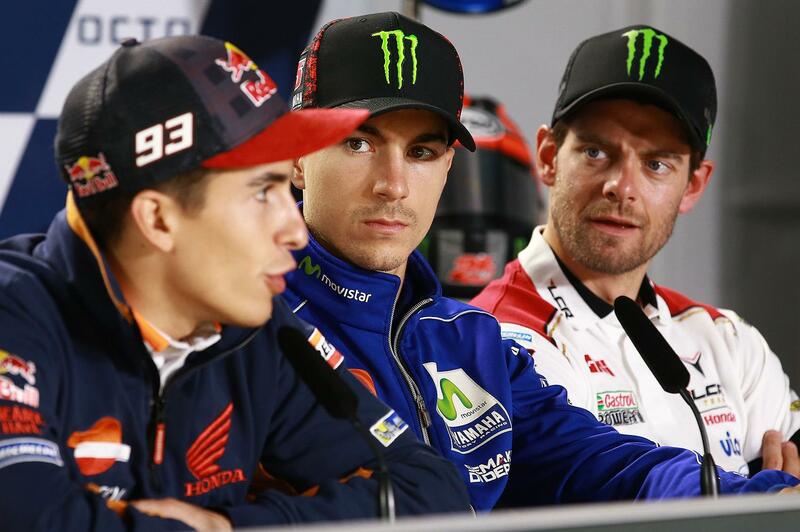 "The problem is that Dani should be able to win the championship, the way everything is. But he just can’t finish the job off. How can you win a race so easily and then be seventh the week after? Its not the way you win championships. But he does do an amazing job to ride a bike that isn’t easy to ride considering the size of him." "He’s now coming really strong. At the start of the year, he was embarrassing and he didn’t care, and I really admire that. He didn’t listen to anyone and just carried on saying ‘it’ll come, it’ll come’ – and now he’s fast. He’s riding really well, and I think he isn’t doing a bad job at all."